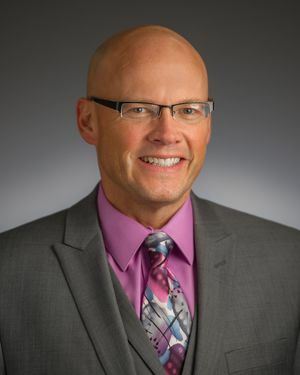 Gregory P. Crawford, vice president, associate provost and professor of physics at the University of Notre Dame, was elected Friday (Feb. 19) as the 22nd president of Miami University in Oxford, Ohio, effective July 1. Formerly the William K. Warren Foundation Dean of the College of Science at Notre Dame, Crawford is returning to his home state. He is a native of Elyria, Ohio, and earned his bachelor’s, master’s and doctoral degrees from Kent State University in Kent, Ohio. Crawford most recently has led the development of Notre Dame’s presence in California, initially in the Bay Area. His focus has been on expanding career services, internships and employment opportunities for Notre Dame undergraduates; recruiting students from leading California high schools to Notre Dame; expanding development efforts in the state; and offering courses and programs through this new presence in California as well as through online learning. Crawford was appointed dean in 2008 and directed more than 500 faculty, staff and postdoctoral researchers in the College of Science, which has some 1,500 undergraduate students and more than 550 graduate students. Planning and fundraising for significant new initiatives such as the Warren Center for Drug Discovery and Development and the Boler-Parseghian Center for Rare and Neglected Diseases. Crawford also has been actively involved in raising money and awareness locally for cancer and rare disease research and has biked 14,700 miles across the country in support of research into Niemann-Pick Type C, the disease that has taken the lives of three of legendary Notre Dame football coach Ara Parseghian’s grandchildren. Crawford came to Notre Dame from Brown University, where he was the dean of engineering from 2006 to 2008 and professor of physics and engineering from 1996 to 2008. He uses his background in optics, photonics and soft matter materials to address areas related to human health, including the analysis and dating of bruises, which are often key pieces of evidence in child abuse cases. He has to his credit more than 400 research and education publications, review articles and book chapters, and more than 20 U.S. patents and patent applications. Originally published by Dennis Brown at news.nd.edu on February 19, 2016.